Watching Durham Bulls Baseball: Hazelbaker! We have noted, if only indirectly, that Jeremy Hazelbaker was not having a good year. At the All-Star break, he was carrying a poor .189 batting average and a .647 OPS. He had just been Designated for Assignment by the Rays and it wasn't clear if he'd be back after his July 5 game in Charlotte. He did make it back and if the two games he played since his return are any indication, he may have turned a corner. Including his walk-off double last night, he has 6 hits in 9 at-bats (3 doubles last night). He's pushed his batting average above the Mendoza Line to .210 and his OPS up 42 points to .689. Good for him. Good for the Bulls. 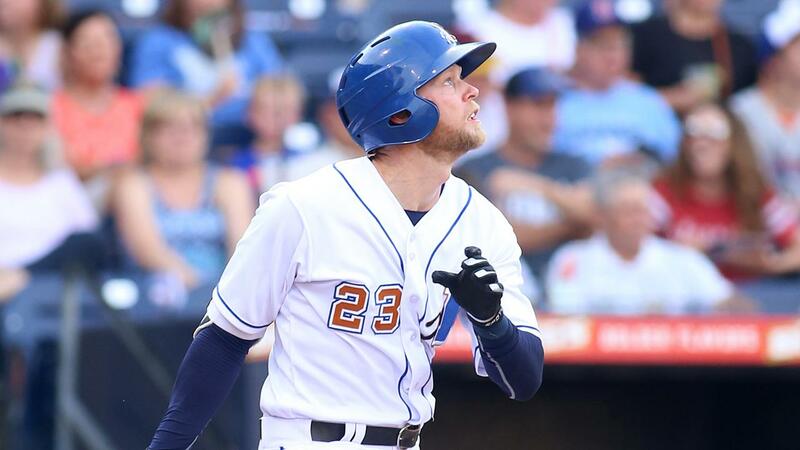 The Durham Bulls at the All-Star Break; Charts!